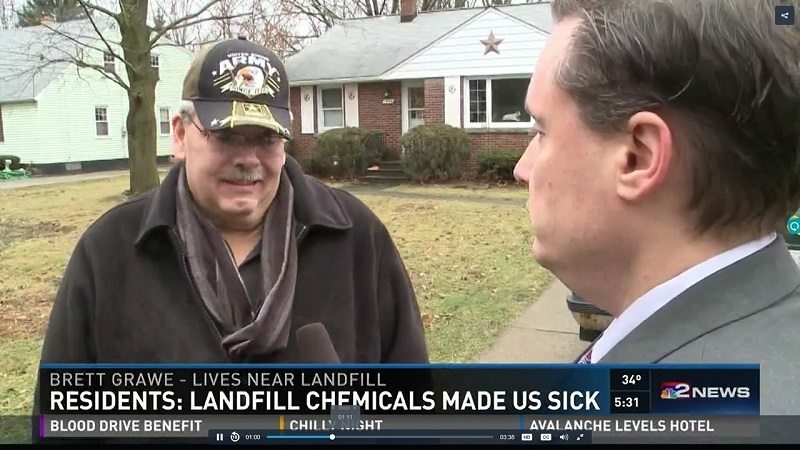 Napoli Shkolnik PLLC (and local counsel Christen Civiletto and co-counsel Smith Stag LLC) client Brett Grawe was recently interviewed by Local NBC 2 regarding the toxic landfill located in the Town of Wheatfield. The firm has put the Town of Wheatfield on Notice on behalf of Brett and four other local families. This means that these residents have a claim against Wheatfield and they intend to sue. As Brett puts it, they are “in disbelief” that both the town and state environmental conservation agencies have been telling the community that there is no risk to the neighborhood from the landfill. He goes on to say that he and his neighbors are “scared” of the landfill located behind their houses as test results show elevated levels of cancer causing toxins such as arsenic and PCB’s in the soil and dust in and around their homes. Brett and his attorneys believe that the chemicals migrated to his property over the years and the toxins are a match for chemicals at Love Canal, a situation environmental environmental scientists have described as “shocking and very concerning.” In fact, 80 dump truck loads of Love Canal waste that was buried at the Wheatfield landfill was removed over a year ago but residents want more action and answers. 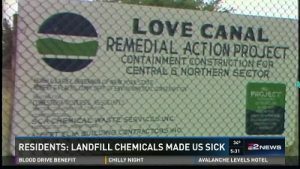 The landfill was named a superfund site, which means it poses a “significatnt risk to public health” and numerous environmental experts have warned of health hazards, but the town has still not fenced in the landfill despite a pledge to do so. Homes are for sale but there are no takers, there is still nothing securing the landfill but Brett has received letters from the DEC stating that all is well. 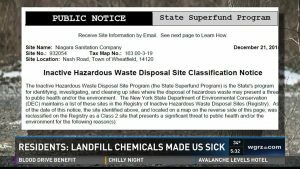 In December of 2015, the Niagara Sanitation Co. landfill was reclassified by the New York State Department of Environmental Conservation as a “significant threat” to the health of the public. As a note, this change came after 25 years of the state ensuring those in the surrounding area that the landfill was safe and that there were no serious health threats associated with living near the landfill. The landfill has since been declared a Superfund site. Shockingly, the site is not fenced and is still accessible via foot or recreational vehicle. 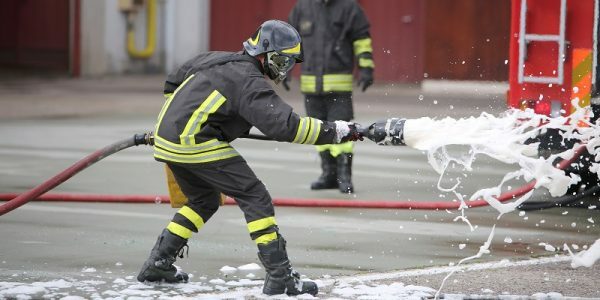 All people have the right to safe drinking water and clean air – when this right is infringed upon, affected persons have the right to take legal action and hold the responsible parties liable. 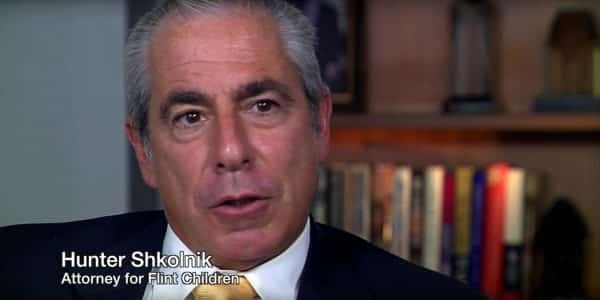 At the law offices of Napoli Shkolnik PLLC, our team of experienced environmental litigation attorneys are working hard with other knowledgeable parties to ensure that all citizens of Wheatfield are aware of their legal options and to investigate the toxic site. If you live in Wheatfield, please contact our attorneys immediately to learn more about your rights under the law and to discuss your specific circumstance in more detail, especially if you or a loved one has recently been diagnosed with a health complication that could be associated with exposure to the landfill’s toxins.